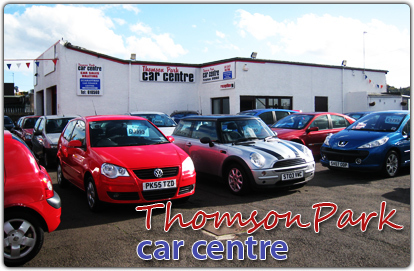 Thomson Park Car Centre Ltd is owned and operated by local men Mike Hendry & Gordon Hutcheson who have worked together for the last twenty five years. Customer care is our number one priority and this is reflected in the number of clients who return on a regular basis to upgrade their vehicles year after year. All our vehicles are competitively priced and we will try not to be beaten when it comes to valuing your trade in. We are licensed credit brokers and will be happy to arrange a loan for you if required.